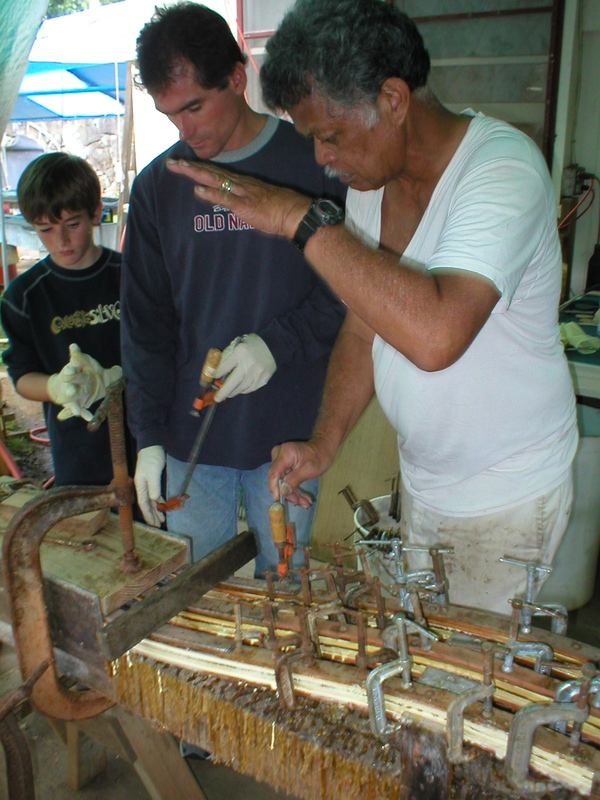 Uncle Bobby’s paddle workshops are rich experiences in learning about Hawaiian culture, in tropical woods, and in the ocean sport of outrigger canoeing. There is room for 10 participants. The paddle making workshop is hands-on and includes learning how a paddle is made, how to repair a paddle, and selecting a paddle of your own to ﬁnish from the rough stage. You will also learn the origins and characteristics of many woods. Using both power tools and hand-shaping, this is your chance to be immersed in Hawaiian woodworking.